Boy bands have been a fertile source of material for comedy since New Kids on the Block, and over the years boy band parody videos have given us all some really good times. 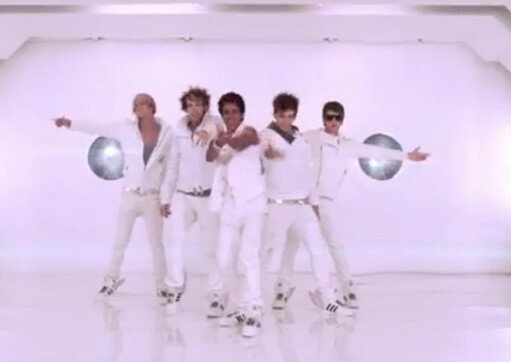 But all of that's over now because no boy band parody could do anything more hilarious with exploding boy band tropes than the video for Heart2Heart's "Facebook Official," which is an actual real song that is actually being released in total seriousness. Somewhere Andy Samberg is biting his knuckles and trying in vain to hold back the tears over how he'll never top this ever in his life. Nothing will ever be funnier than these guys' faces. WHAT CRAZY FACES!